57011 awaits its future, following donation of its good bogies. 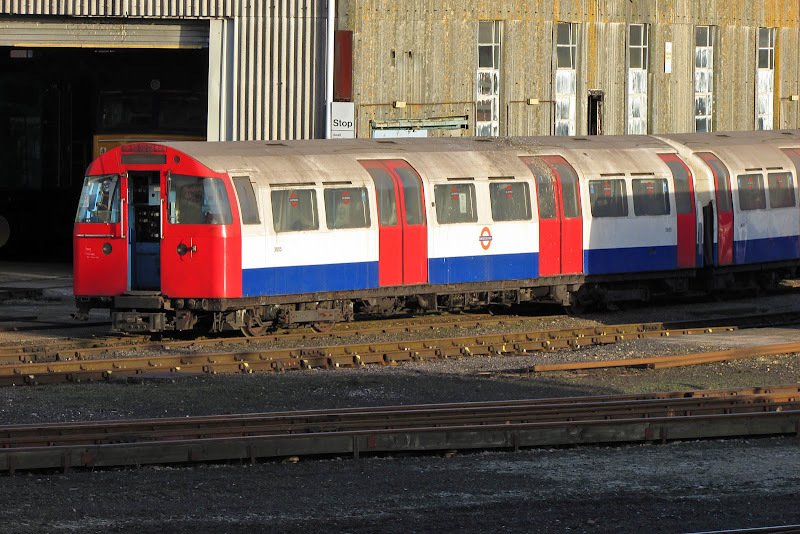 LT 1967 stock 3005 has been removed from covered storage, this may be pending break-up. Withdrawn on 15th June 2011, this was moved from Acton to Eastleigh on 30th June 2011. 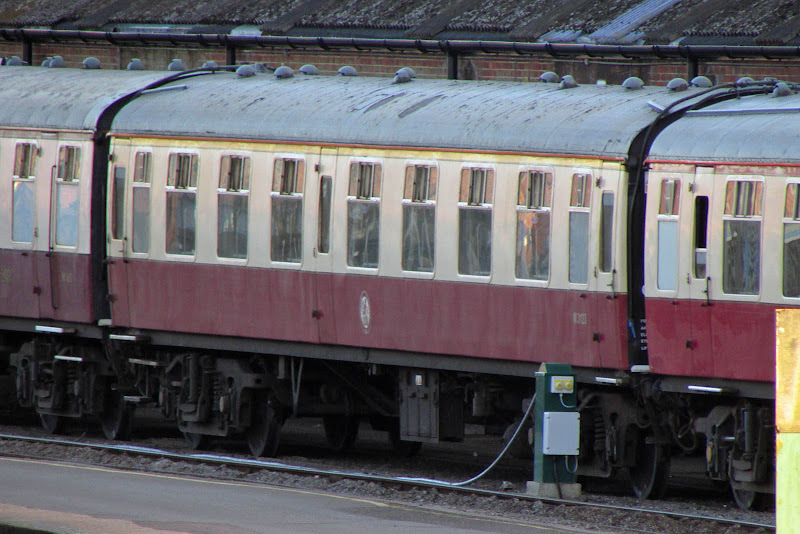 FO M3123 built to Lot 30697 at Swindon in 1963. 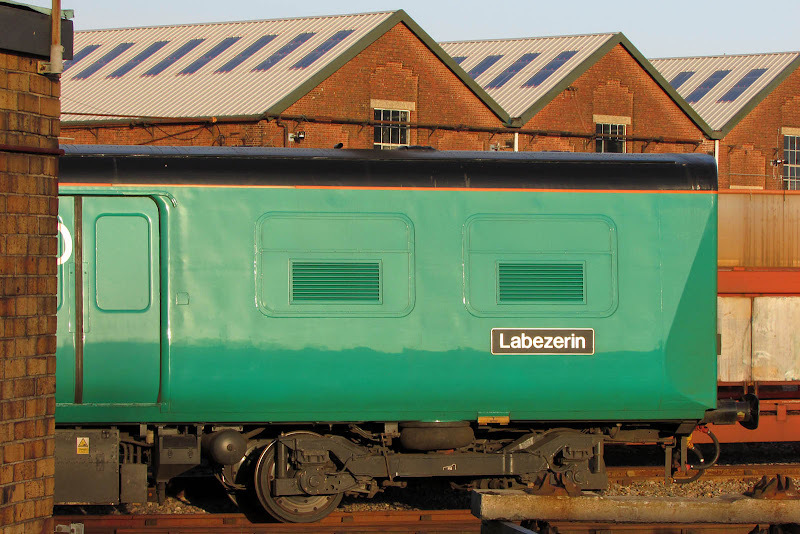 EMU Translator Barrier coach 64707 Labezerin. Both adjacent 64664 Liwet and this coach are named after angels. 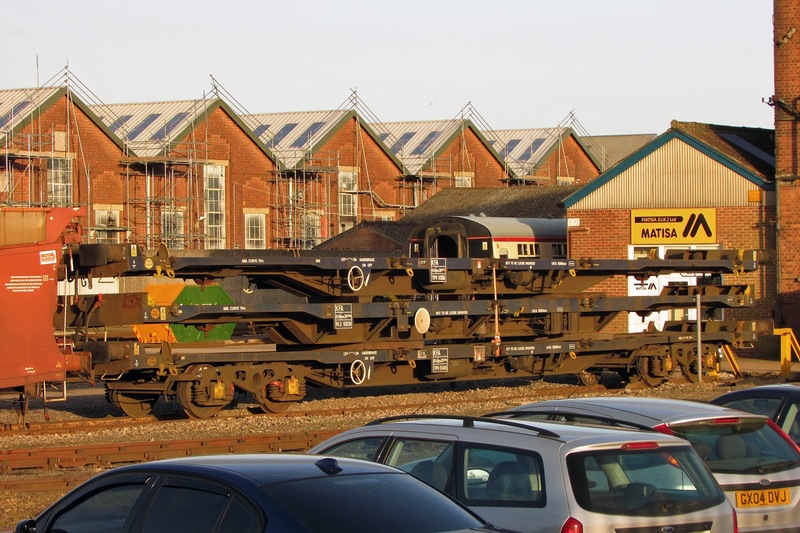 A stack of three KFA wagons has been present and visible since January. TIPH 93385 93485 (Rautaruukki, Finland 1987-88) & RLS 92639 (Standard Wagon, Heywood, Contract 114, 1986, for Railease, originally for Coba-Geigy Amino Resins traffic in 20ft curtain sided containers to Fishguard for Ireland). 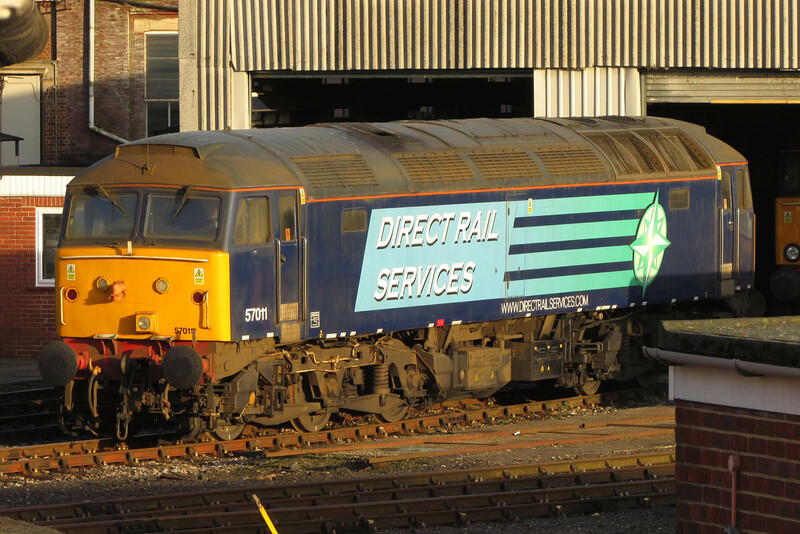 Typically seen in Freightliner service in the current period.